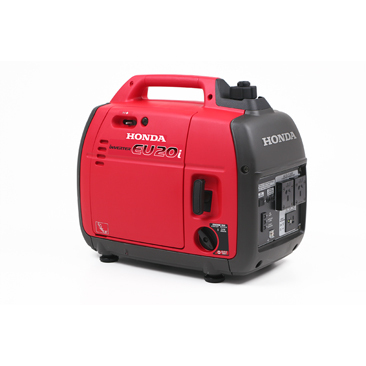 Honda are setting a new standard in portable electricity with the introduction of advanced four-stroke, Honda Generators. Honda generators are designed and built with user convenience and environmental impact in mind; all models feature an advanced 4-Stroke engine for strong performance and fewer emissions. Honda's 4-Stroke engines eliminate the need to mix fuel and oil, which saves you time and plenty of money. They also provide superior fuel efficiency and emit significantly less carbon and noise than most of their two-stroke counterparts, so you'll breathe easier with Honda. Follow the Store Links below to view each model generator within the Honda range or, alternatively visit Sunshine State Mowers in Noosaville to speak with a Sales expert who will find the best model to suit your individual needs.